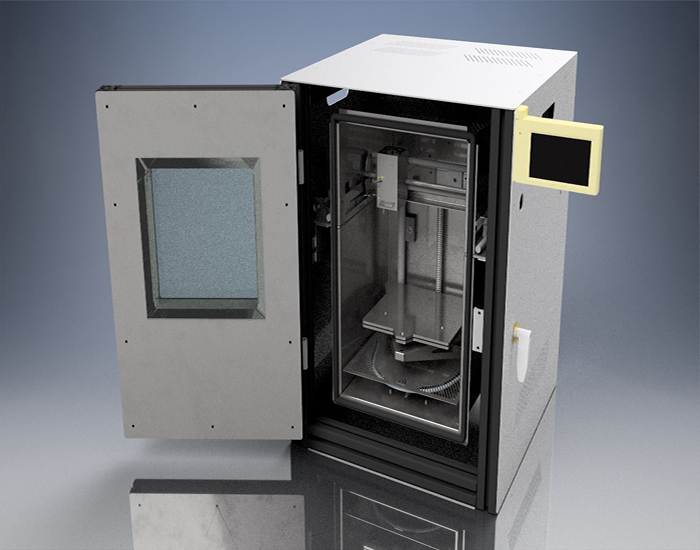 “A nice example of our low-cost design concept,” says Tom Krause, head of the additive manufacturing division at igus GmbH, about the high-temperature 3D-printer newly developed and built by his team. A self-built 3D high temperature printer based on drylin W rail guides and dryspin steep-thread spindle made of stainless steel in combination with spindle nuts made of high-temperature resistant iglidur materials. 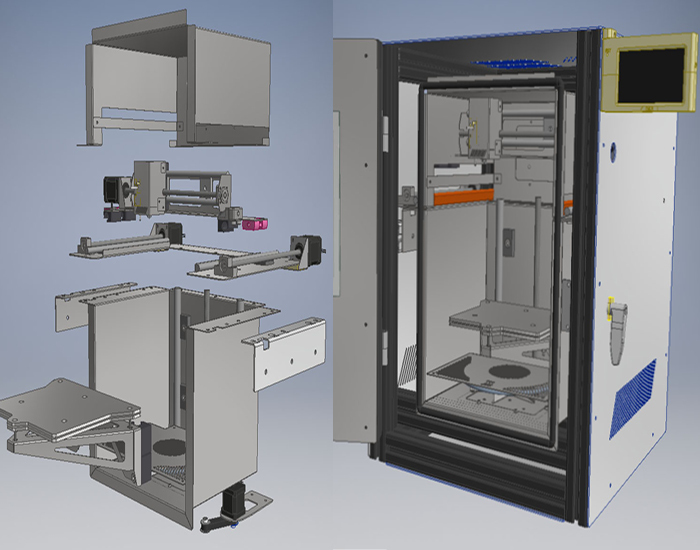 Low-cost design in the own factory: Based on this idea, the igus team of additive manufacturing has developed and built a high temperature 3D- printer with in-house mechanical engineering components. The complete linear systems, consisting of drylin W linear guides, dryspin steep threads and igus stepper motors were used from the standard range. With the help of the 3D high temperature printer, the development of new printing materials was supported, so that users can now use the high-performance plastics iglidur J350 and RW370 to make lubricant- and maintenance-free filaments for the production of heat-resistant components. Here you will find directly the suitable components for the 3D high temperature printer! You can download the technical design data* here. *The models and drawings provided here are an example of the use of various igus components in a high temperature 3D-printer or in a high-temperature application. A legally binding assurance of certain properties or the suitability for a certain application cannot be derived. igus assumes no liability for damages resulting from the application of the models, drawings and products. Accordingly, no support is offered for the construction of this 3D-printer, as igus is not a manufacturer of 3D printers.